Another UK insurtech has closed its doors. Kinsu provided simpler and fairer insurance for all your things. This was one of the insurtechs I liked the look of. Their design was slick, they eliminated jargon and promised not to increase your premium if you made a claim. Good people building a good business. 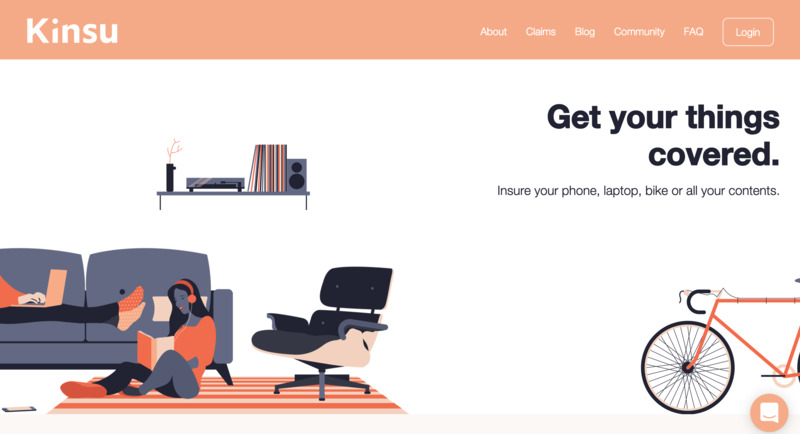 I listed them on my resource of UK insurance companies doing interesting things with design or tech. Sadly, they’re also the third insurtech on that list to close its doors. For those that don’t know, insurtech is defined as “the use of technology innovations designed to squeeze out savings and efficiency from the current insurance industry model”. Whilst I don’t consider With Jack to be an insurtech (I’m still manually processing policies. There isn’t anything innovative about that), I look to insurtech for inspiration and to learn. What I will say after seeing yet another great brand go out of business is that; insurtech or not, VC-funded or not, building a business in the insurance space is a lot tougher than all us ‘disruptors’ anticipate. We’re seeing insurtechs challenge the status quo and execute beautifully, yet go out of business after a year. The worst part about all of this is that you can’t fail fast in insurance. You can’t give it a few months of your evenings and weekends to see how you get on before committing full-time. No. It’s a regulated industry and an application to become approved takes between 6-12 months and costs upwards of £10,000 (application fee, compliance costs, necessary capital). With my own application it was a 9 month process that cost £15,000+. Here are some of my thoughts on the challenges of building an insurance business after seeing another insurtech shut down. VC funding means you have aggressive targets to hit. But it doesn’t matter how good your brand is or how cheap the product is, consumers don’t feel passionately enough about insurance that they’ll drop their current provider and flock to the new kid on the block. Although Kinsu hasn’t said why it’s closing, I read it’s because it failed to secure another round of funding. I think a big reason I’m still in business is because I’m bootstrapped. I don’t have targets to hit set by investors. 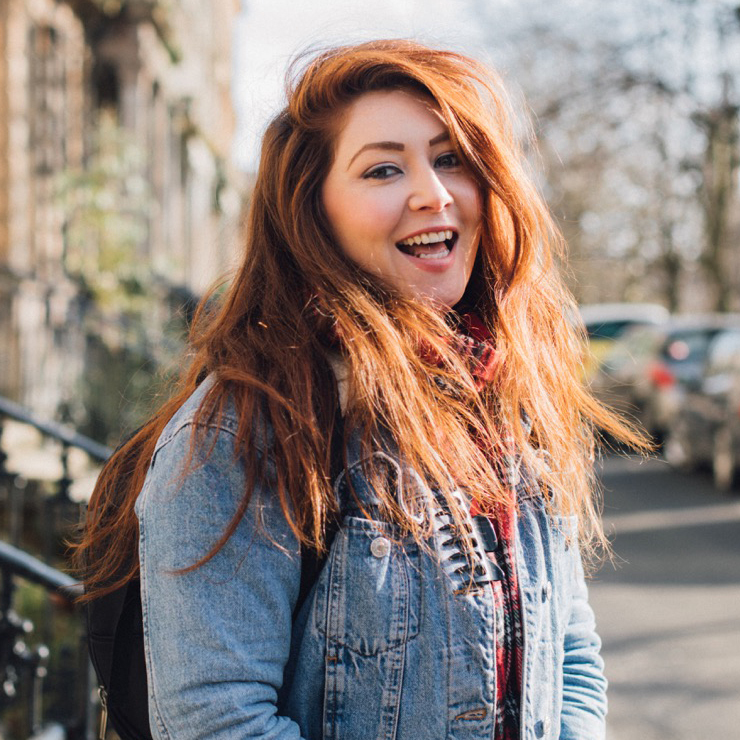 I’m self-funding my business from Glasgow, a city with a low cost of living compared to London, which is where most of the VC-backed insurtechs emerge from. I don’t have to pay £15,000 in salaries every month. I don’t have to fork out a few grand for office space. If I had investors expecting rocketship growth and if I had a higher cost of operating, it would be tougher staying in business. Instead I’ve self-funded with money I’ve earned doing freelance photography, and that’s enabled me to grow slowly and iteratively to profitability. Don’t get me wrong. There are many constraints and downsides with bootstrapping. It’s not the route for those wanting to reach a £1b valuation. I haven’t been able to build as quickly as VC-backed companies. However, we’re seeing that fancy tech and features (chatbots to file claims, portals to manage your policy) don’t matter to consumers as much as we think they do. Is VC the right model for insurance? I’m not convinced. Two insurtechs I followed that are now closed specialised in contents insurance. I don’t have much data on contents insurance, but I’d imagine the premiums are small. This means they’d need lots of volume to reach profitability. With Jack specialises in business insurance for freelancers and our average premium is only £259. To remain attractive to VC’s, pay lots of salaries and be profitable, I’d need a huge volume of customers. I didn’t anticipate how tough this market would be (don’t get into freelance insurance if you want to make lots of money). On top of small premiums, freelancing is flexible and therefore churn is high. 13% of my customers don’t renew because they’ve went into full-time employment, had to close their business or moved abroad. It’s a tough market to operate in and it’s even smaller than I assumed. There are an estimated 2,000,000 freelancers in the UK—which seems like a big number—but I’d guess only 25% of them are insured. Suddenly, the pool of people I’m targeting is significantly smaller. So, if you’re building a business ask yourself; is there a large profit to be made? (People say the B2B SaaS model is the best and now I understand why.) Is the market huge? Neither of those are true for With Jack, but that’s OK as I’m not building a Unicorn. A lot of founders (myself included) are drawn to insurance because of people’s negative feelings about it. 73% of consumers don’t trust their insurance provider. This means there’s an exciting opportunity to change that and do something good. Transparency. Something I try to do is be as open about With Jack’s journey as possible. I’ll also share stats such as where most of our claims arise from and how much they cost. B-corp status. Lemonade was the world’s first B-corp insurance company. A few others have since followed suit. Simpler policy wordings. Consumers expect exclusions tucked away in the small print that’s designed to screw them over. Simpler policy wordings that are easier to understand remove that fear. No fixed contracts. There’s a big shift towards subscription-style policies so you’re not locked into paying for something you no longer need or want. This is a big step in the right direction, yet this doesn’t seem to be enough to change people’s perceptions about insurance. I believe insurance is one of the most under-valued things in the world. 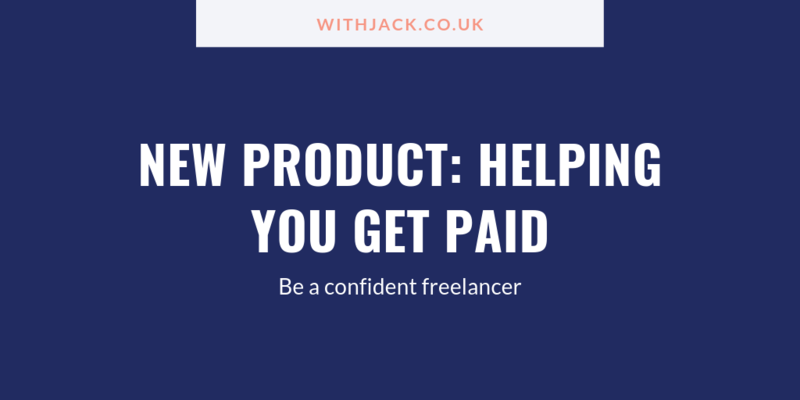 I feel strongly about helping the 2,000,000 freelancers in the UK be a confident freelancer. A lot of that comes down to changing the way they think about insurance. That can be done through educating them with real stories about how it can help and showing them they can have positive experiences when dealing with insurance. I want to believe that changing people’s perceptions can be done, but it’s a huge task. When I see the steps insurtechs have taken yet failed, it scares me. Those are some of the challenges of building an insurance business. I’ve always said the path of least resistance for me would have been to build my photography business, but one of the things that attracted me to insurance was just how challenging it is. I did underestimate that challenge, but I’m still here and giving it a go. Ashley is founder of With Jack. She is also a photographer, speaker, and can lift heavier than you. Currently based in Glasgow, Scotland. Receive emails from me about bootstrapping a business as a solo founder. Should You Build A Product For A User Segment You're Not A Part Of? Ashley Baxter © 2019 . Powered by Jekyll. A transparent account of bootstrapping an insurance business as a solo founder. I share the lessons learned, failures and tiny wins of building With Jack.